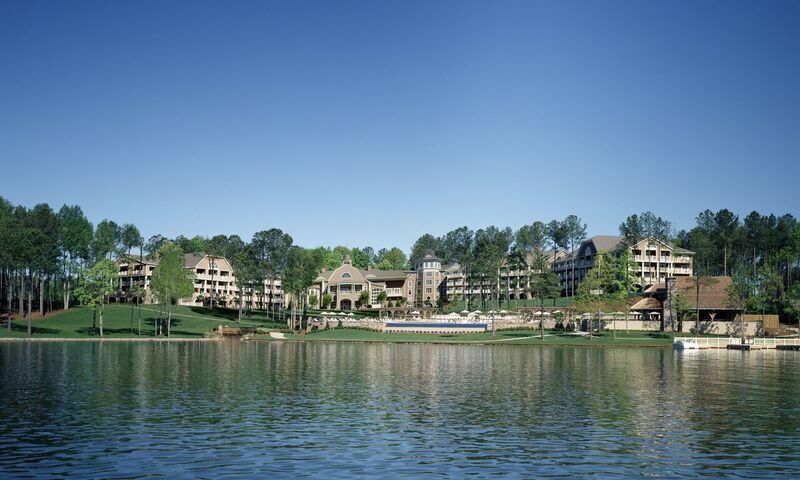 Reynolds Lake Oconee: where Southern hospitality meets luxury. 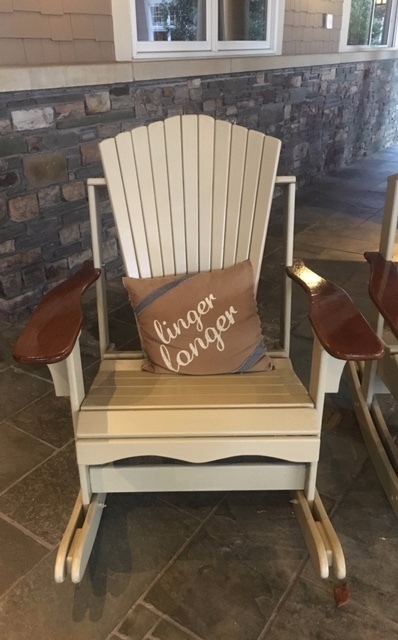 Located just 90 minutes from the Hartsfield-Jackson Atlanta International Airport, on the aptly named, Linger Longer Road, is the entrance to a community that is an integration of residential living, club lifestyle and full service resort. 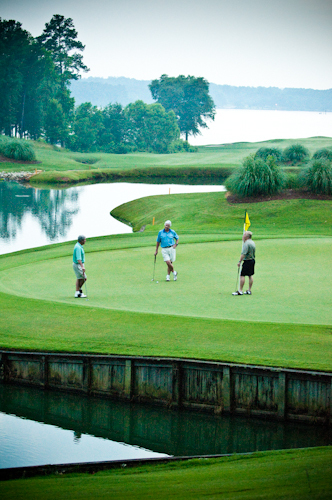 At the center of Reynolds, situated on the shores of Lake Oconee is The Ritz-Carlton Resort. The Resort: It’s all in the details. 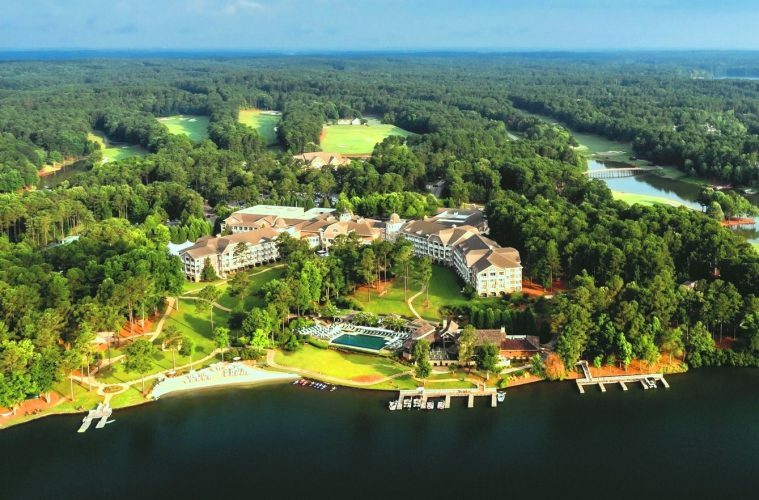 This AAA Five Diamond resort and spa located between Atlanta and Augusta is surrounded by deep green landscape, sky high trees and the sparkling waters of Lake Oconee. Entering the enormous glass and wood detailed doors, you are instantly transported to a lodge in the mountains. 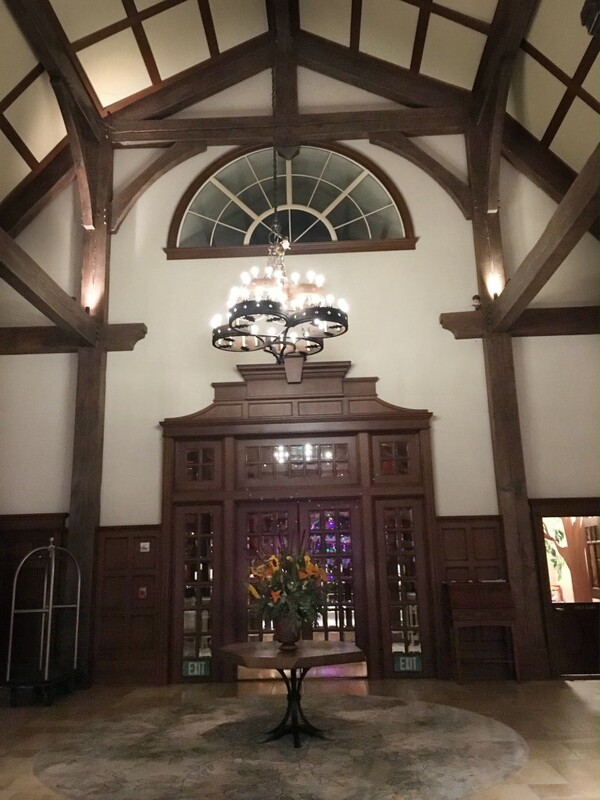 A roaring fire is warming the space, dark wood beams line the ceilings, chandeliers made from iron and glass all have a unique, artistic look. You may even discover the antler multi-tier, lighting fixture over a spiral staircase before relaxing in the oversized leather chairs and sofas scattered throughout the lobby. Somehow, city life seeps out and tranquility creeps in. This sprawling resort has 251 rooms designed with your comfort in mind. 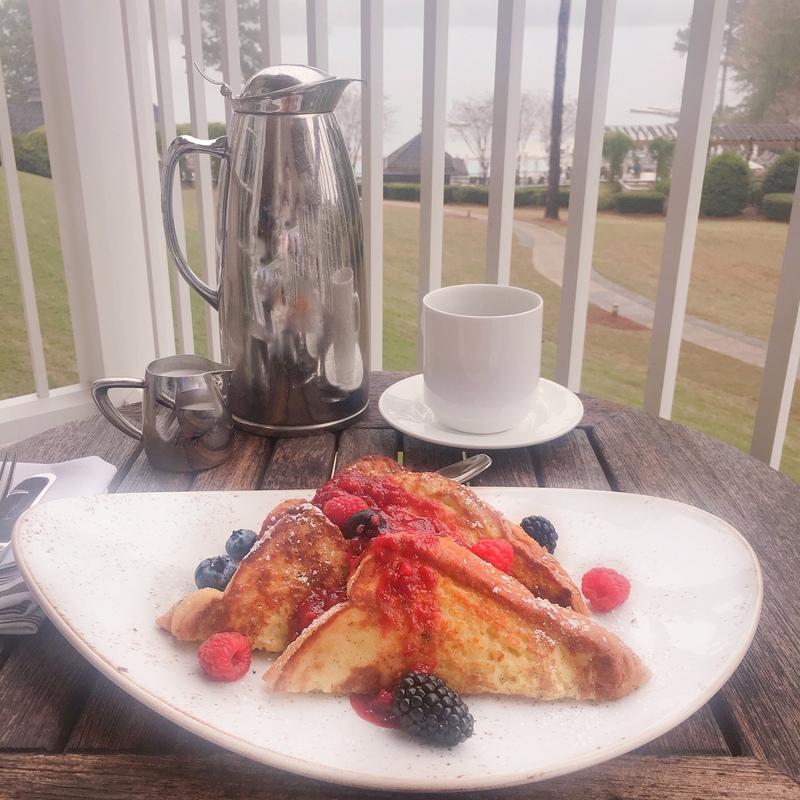 Thoughtfully built to see nature’s beauty, no matter what your view, as you enjoy breakfast on the balcony. 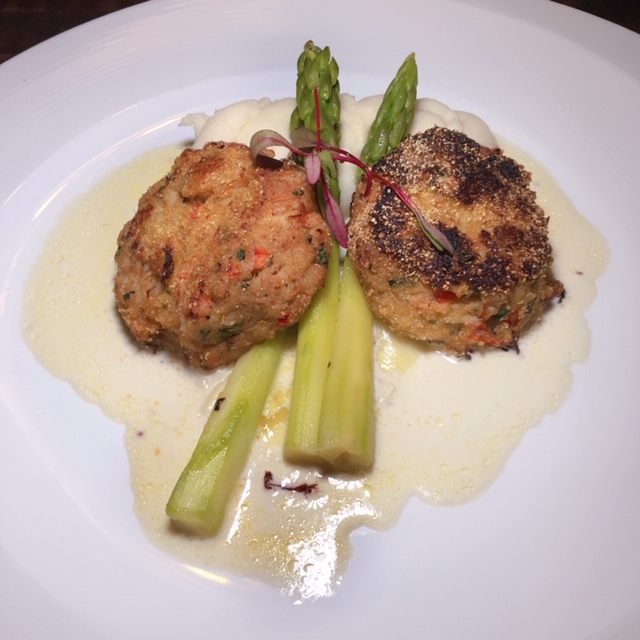 As the day comes to a close, dinner at Linger Longer Steakhouse, with its open kitchen and view of the golf course, brings you prime steaks and seafood along with exclusive spirits from the bar. 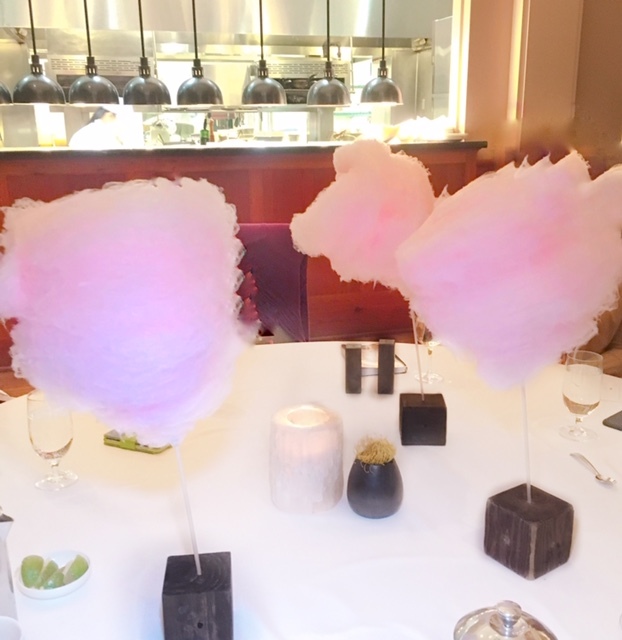 Adding some lightness to a more formal environment is their surprising, ever-changing flavor of cotton candy for the table. With six world class golf courses designed by the best architects including Rees Jones, Jack Nicklaus, Tom Fazio, Bob Cupp, Jim Engh, Fuzzy Zoeller, and Hubert Green, each game will offer golfers a new challenge. Players will experience holes that flow with the terrain into ravines to a course where water is visible throughout the back nine to greens where the land determines that there is no “sameness” in the course making each game feel like the first time on the course. For those looking for professional level instruction and club fitting, Reynolds Kingdom of Golf presented by TaylorMade is available utilizing technology to provide a 360-degree view of the golfer’s swing along with a precise calibration of their equipment to their swing. 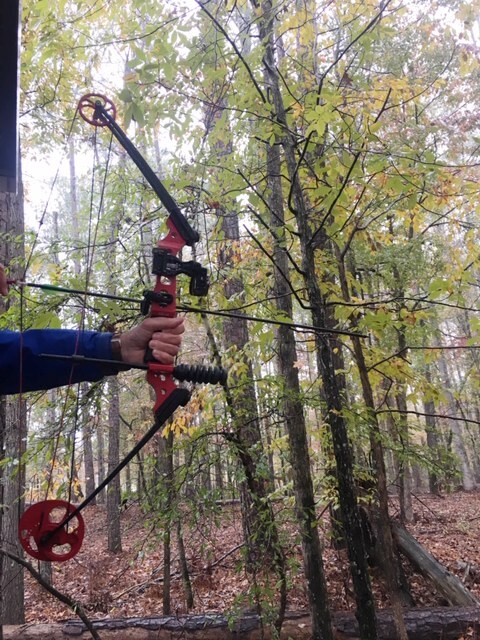 For any outdoorsman, Sandy Creek Sporting Grounds will become a welcome destination while at Reynolds and The Ritz-Carlton. Once the luxury playground to the Reynolds’ family, it has been recently redesigned to offer sporting adventures for members and guests. 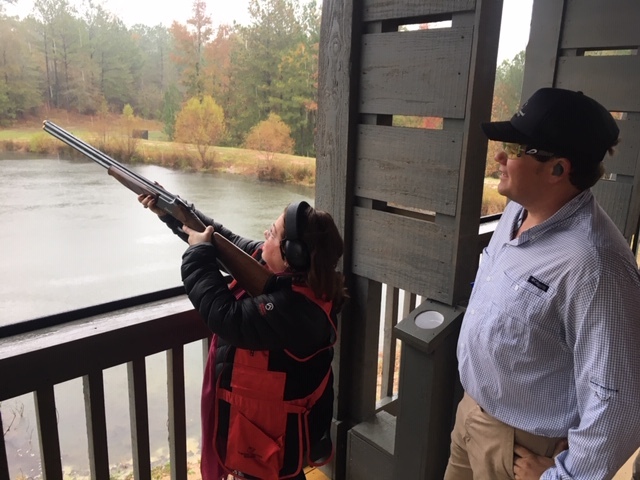 Built within the pine forest across 100 acres and designed by highly respected British born clays course designer, Justin Jones, guests and members will have the opportunity to experience a twenty station sporting clays course, a private instructional area, and a five stand set up. 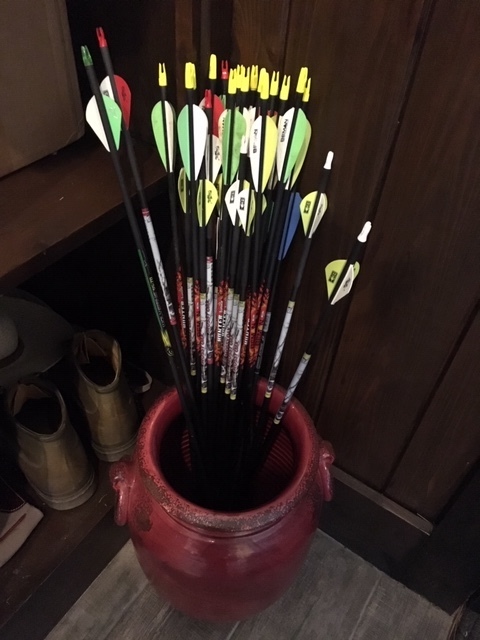 In addition, there is an archery field and air rifle range on the sporting grounds. For those interested in water activities, there are three waterfront fishing piers, along with kayaking and canoeing to choose from at the Sportsman Grounds. Lake life continues on Reynolds with a multitude of options from paddle boarding to water skiing to boating to Schiller Bikes. The sporting grounds surround a warm and welcoming private venue known as the Sandy Creek Barn. For those seeking exclusive event space, this would be a memorable choice. The Spa at The Ritz-Carlton Reynolds is a haven you will never want to leave. More than 27,000 square feet of peace and pampering. Inspired by Georgia traditions, botanicals and healing waters melt away your stress. 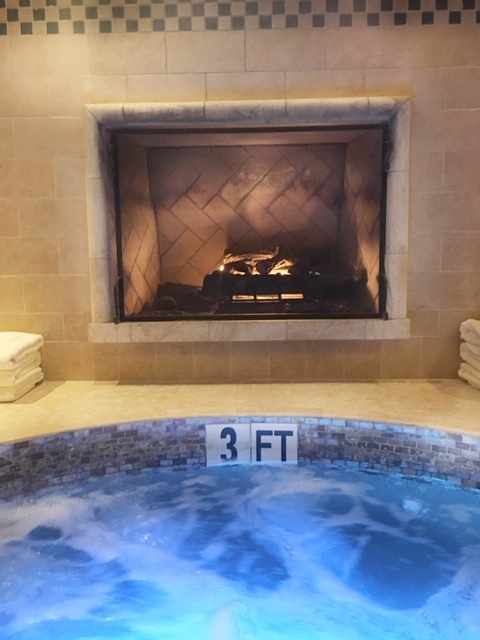 This full service spa includes a hydrotherapy pool with a fireplace as its backdrop, steam rooms, relaxation lounge, dedicated nail salon, barbershop, fitness studio, saunas, an indoor pool complete with dramatic fireplace and gift shop. Treatments to relieve work tension or melt away muscle fatigue from those rounds of golf are included in the elaborate, well-thought-out spa menu. Departing this welcoming space is indeed a tough choice but those greens are beckoning. If immersing yourself in nature is your solution, choose to wander the 21 miles of walking paths or relax in the hammock conveniently placed with a view of the trees and lake. With 10 culinary venues on the Reynolds’ property, options for dining, entertaining and events are extensive. 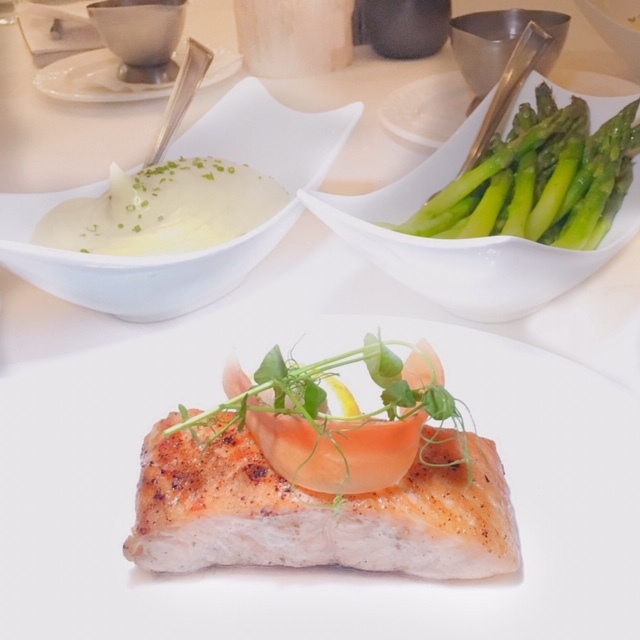 Managed by Certified Master Chef, Derin Moore, both public and private restaurants and clubs offer made from scratch dishes from casual to elegant. 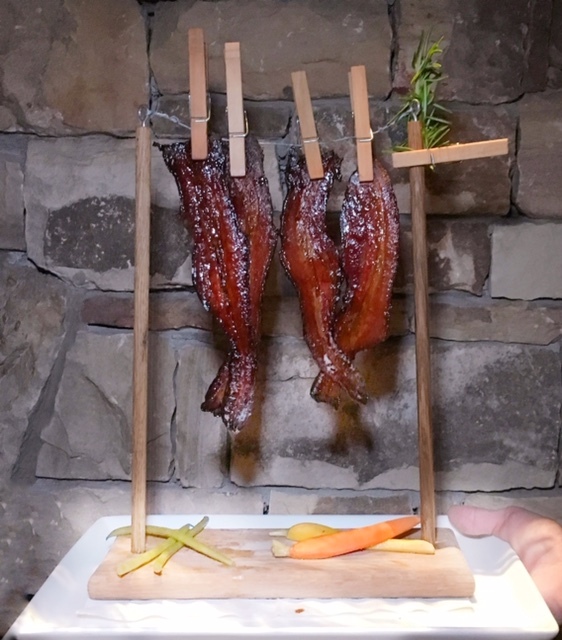 The cuisine takes into consideration the location’s Southern roots as well as bringing a global influence utilizing locally grown and seasonal ingredients. Luxury living for over 4,000 people that desire the lake life or are avid golfers. What was once a community for second home ownership or retirees has become an in-demand destination for families as well. So much so that a school was built for the members’ children that now welcomes more than 1,000 students. Residences vary with views of the lake, golf course or countryside to suit every homeowner’s interest. 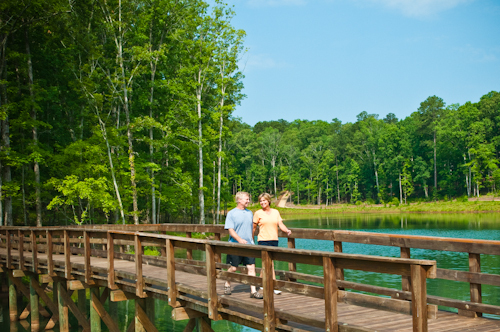 Reynolds Lake Oconee is a community that encompasses living life well. Or as they say “we have set the stage for an active life, well-lived”. 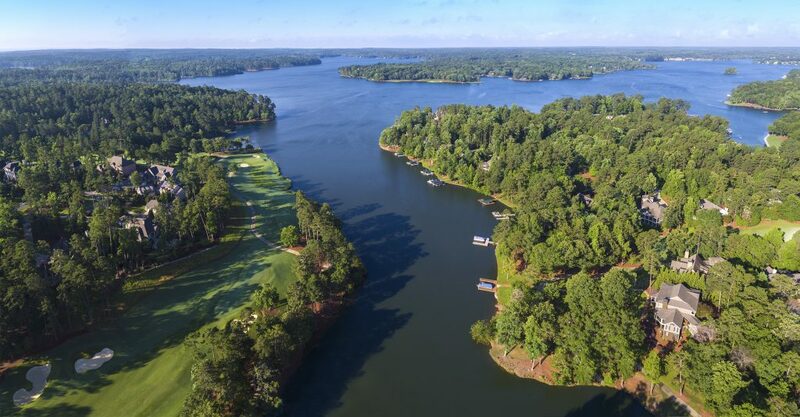 Whether you visit Reynolds Lake Oconee or the Ritz-Carlton Reynolds, know that the goal is to Linger Longer doing what makes you happy. For more information, please visit Reynolds Lake Oconee or the Ritz-Carlton Reynolds. 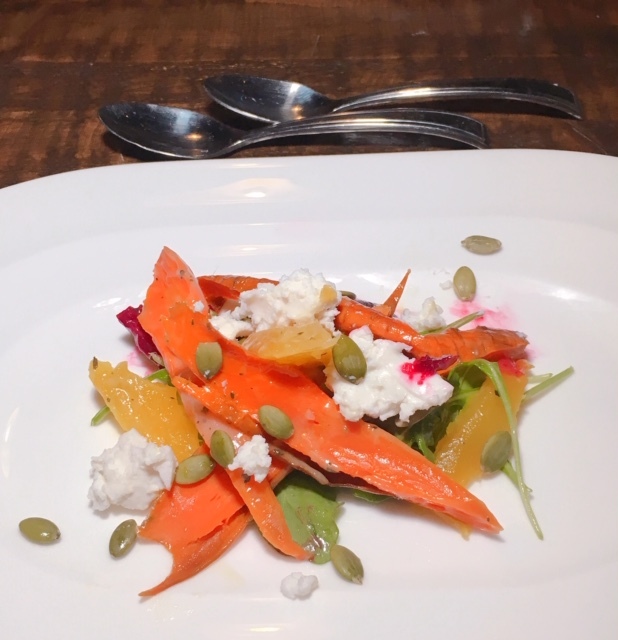 All images courtesy of DLX Contributor, Julie Gordon of Inspiring Kitchen, unless otherwise noted. Follow Inspiring Kitchen to learn about trends in luxury culinary travel, kitchen design and housewares as well as favorite finds in the food and cooking world.